“I’m so jacked to announce my Dream On It Tour and get back on the road," said Hayes. "Thank you to my fans for working so hard to help me pick the perfect tour name. Y’all have been involved since the beginning, so it only seemed fitting to have y’all be part of it." Tickets for the Dream On It tour are available online walkerhayes.com. VIP Tickets can be purchased online. 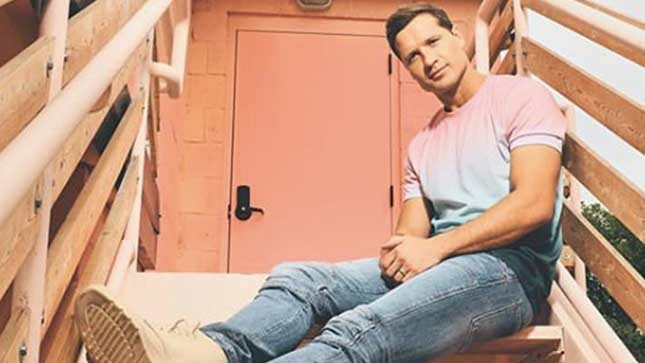 Monument Records recording artist, Walker Hayes, is a singer/songwriter originally from Mobile, Alabama. Hayes recently released the single and video for his hit “90’s Country” which continues to climb the country charts. His debut album boom. was released in December 2017, which he co- produced with GRAMMY Award winning producer and songwriter, Shane McAnally. The 10 track album includes the RIAA certified Platinum Top 10 hit, “You Broke Up With Me” as well as the highly anticipated follow up single, “Craig,” which was nominated for Song of the Year at the 2018 AIMP Nashville Awards. This fall, Walker headed overseas with Old Dominion for his first-ever European tour. Hayes has joined the likes of Kelsea Ballerini's Unapologetically Tour and been on the road with Dan + Shay, Thomas Rhett, Old Dominion and more. Kicking off in January 2019, Walker will set out on the Dream On It tour. For more information on Walker and upcoming shows, please visit: www.walkerhayes.com.